The fabrics used in the gem ESD are strong and durable. 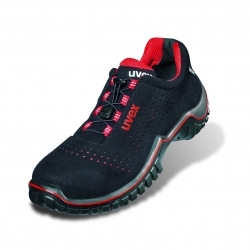 The high cotton content offers comfort and excellent ventilation. Carbon fiber woven through the fabric provides excellent anti-static protection. An accumulation of electrostatic discharge (ESD) can damage sensitive electronic components or give risk of fire in the handling of solvents and other flammable products. 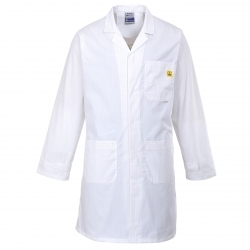 These clothes are perfect for use in electrostatic environments. The wires in the clothes Act by preventing the buildup of static electricity and sending them directly to the Earth. 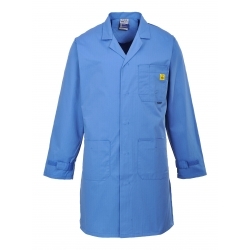 -EN 1149: 2008 clothing for protection against hazards caused by static electricity. -EN61340-5-1, 2007 is the European standard for the protection of electronic devices from electrostatic phenomena.